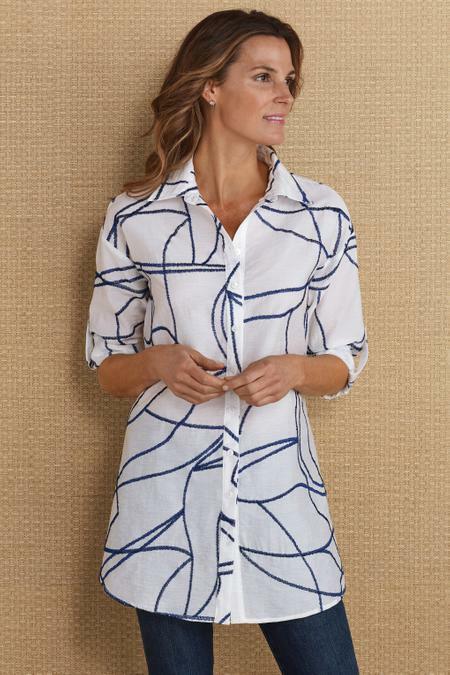 Look au courant in an instant with this lightweight tunic in a big shirt silhouette. All-over textural embroidery creates an homage to modern art, while the dropped shoulders, curved hem and roll-tab sleeves bring in updated fashion elements. Shell buttons along the full front placket finish the summery look. Woven. Lyocell/cotton/nylon. Misses 32" long.